Buildings requiring additional space within the facility can become awestruck by the lack of options out there in terms of feasible solutions. Finding the best prefab metal buildings prices online is difficult to do at the best of times. Panel Built offers an exceptional solution that is affordable and will last for a long time. These prefab metal buildings prices are up to par with some of the finest options out there. Let’s take a glance at what makes these buildings such an amazing opportunity for businesses that want something unique and useful. When it comes to these prefab metal buildings, it is all about how spacious they are. Most facilities require a lot of additional space that is simply impossible to create without constructing a new storage space. With the assistance of Panel Built, clients are now able to find a solution that will last for a long time and is spacious to boot. These solutions are designed to store items of all kind and that is essential in the modern age. These buildings can lead to the place becoming more organized, which immediately increases efficiency ratings for the business. Getting a metal building built is all about finding a modern solution that is designed to work with industry standards. There is no point in getting one’s hands on a metal building office only to have it fall apart or just not do its role well. This is why it is important to come to a proven service that understands what is required to get the job done well. All of these intricacies are vital for ensuring the job is done well and the business benefits from the inclusion of this new building. The service will make recommendations to ensure everything is modernistic from the design all the way to the materials that were used to construct it. The best part about these buildings is how versatile they are both in the short and long-term. This is imperative for those clients who want something that can be used for a range of tasks. Some of the options that clients have for these buildings include storage, office space, and chemical containment. This is exceptional for a range of requirements and does the job and then some for those who want results that are meaningful and will last for a long time. 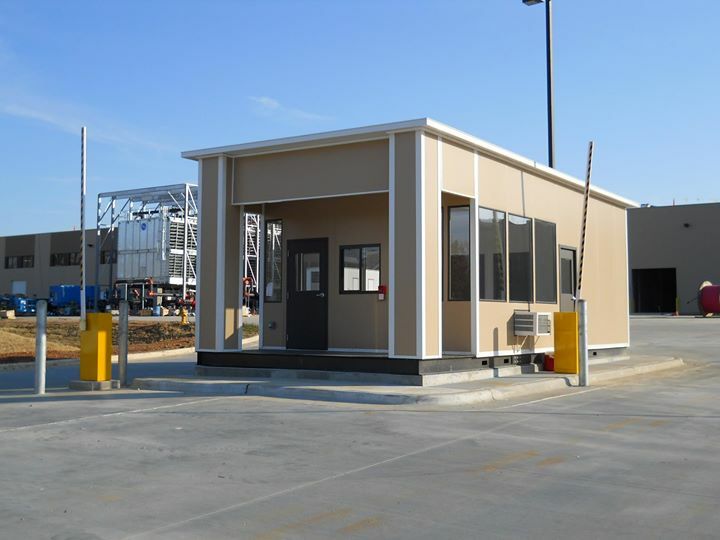 When it comes to prefab metal buildings prices, Panel Built gets the job done. These are competitive prices that are ensured to remain within the client’s budget and requirements. All of this is done without seeing any depreciation in the level of quality that one always associated with this company. The prices are well worth the investment both in the short and long-term. This is as good as it gets when it comes to perfection for those who want results that will lead to economic gains and extra space too. Panel Built is always willing to work with clients to come up with terms that are fair and reasonable for both parties. When it comes to constructing new buildings, there is nothing worse than not having things up to standard in terms of safety. Each area has its own local and federal regulations when it comes to these buildings and all of them have to be met in order to pass inspection. This is an experienced service that recognizes what is required to ensure all buildings that are built remain within these codes and act as safe places for storage and use. These buildings will pass the toughest of codes and will always impress inspectors because of how well built they are. Another benefit that cannot be overlooked is how secure this investment is in terms of the building’s longevity. Once the building has been installed, it can be taken care of right away and will last for a while. This is essential for those clients who want something that can be used and does not require maintenance every month. This can become frustrating in a hurry and no client deserves to go through this. Panel Built works with the client to ensure everything is as desired from the moment it is completed.